Medical device outsourcing firm Creganna Medical has launched a new 100,000ft² manufacturing facility in Plymouth, Minnesota, US. 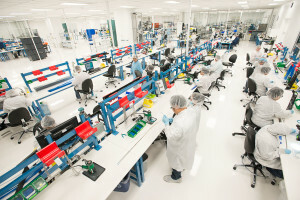 With around 300 employees, the facility offers braid, coil and associated technologies for catheter and sheath devices, including complex sub-assemblies and components. The company plans to hire an additional 50 staff to support ongoing expansion at the site over the next 18 months. Creganna Medical CEO Chip Hance said: "Our investment highlights our commitment to supporting customers served from our Minnesota site as we keep in tandem with their increasing demand for our solutions. "As our global Center of Excellence for Structural Heart and Electrophysiology therapies, the expansion of this site also enables Creganna Medical to remain at the forefront of design and manufacturing services for these key growth markets." According to the firm, the new facility expands the firm’s R&D, manufacturing and commercial presence in Minnesota, which is the home for around 700 medical device companies. Creganna Medical is specialized in the design and manufacture of minimally invasive delivery and access devices for a wide range of companies. The company provides services to around 400 medical device and life science companies in 30 countries across the globe. Image: Clean rooms at Creganna Medical’s new facility in Plymouth. Photo: courtesy of Creganna Medical.